Need some yoga inspo? Look no further. By Caroline Cunningham·	 4/16/2018, 8:00 a.m. Sometimes, when we’re feeling pretty uninspired for healthy meals or smart workouts, we turn to Instagram for inspiration. And why not? It’s a source of gorgeous photograph, and it’s a platform where the fitness pros can share their wisdom right to your phone. That said, Philly is filled with inspiring yogis who keep us motivated and informed. Here are 17 of them that you should totally be following — if you aren’t already. As the owner of Three Queens Yoga, Mariel Freeman is a resource of wisdom for her students and fellow yogis alike. The owner of Palo Santo Wellness Boutique takes you behind-the-scenes of his practice — and his worldwide travels. Jean-Jacques Gabriel, who teaches at Studio 34, is a pro at acro yoga — and at leading yoga retreats around the globe. She teaches yoga at Three Queens Yoga and Amrita Yoga & Wellness — and yoga on stand-up paddle boards for Aqua Vida. Catch Adriana Adelé at studios all over town, including Three Queens, Maha Yoga, Torc Yoga, The Yoga Garden, and The Sporting Club at the Bellevue. Find Maria Sylvester Terry at Dana Hot Yoga, City Fitness, OpenBox Athletics, and Sweat Fitness. Come for the yoga poses, stay for the cute puppies on Bryce Arsenault’s account. Jake Panasevich, a.k.a. Yoga With Jake, is all about making yoga more accessible for men through Yoga for Dudes classes — but anyone can find him at Maha Yoga. The co-founder of Teranga Yoga, Joanna Da Sylva has also partnered with Namaste Nourish on the Yoga Brunch PHL series. As the director of Sanctuary Yoga & Wellness, Kilkenny Tremblay teaches both yoga and meditation class. Philly-area yogi Ashley Rufo focuses on yoga for athletes and sports teams — and is also a trained meditation coach. The acro yoga pro is on a mission to lift 10,000 people — you can assist his mission in his weekly classes at Torc Yoga. As the owner of Amrita Yoga & Wellness in Fishtown, Heather Rice’s profile is filled with yoga tips — and her cute doggo. The co-founder of Melanin & Yoga, Veronica Dennis is looking to bring yoga to more underserved communities. 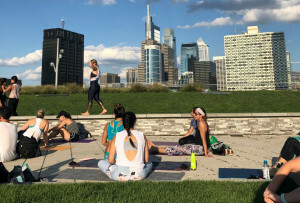 Find David Hem at spots all around town — including Sweat Fitness, Dhyana Yoga Northern Liberties, The Yoga Garden, The Sporting Club at the Bellevue, and more. This yoga teacher in training hosts a pop-up class in Colorspace Labs, where the colors of the walls change throughout the flow. 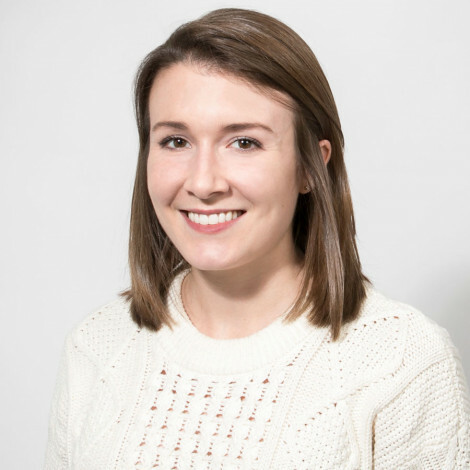 Catch her classes at Amrita in Fishtown — or her SUP paddle board classes with Aqua Vida. 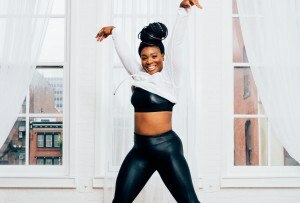 She coaches in NYC and Philadelphia — but here you can catch her at Priya Hot Yoga. Find her on the schedule at Sol Yoga Studio — and follow her for her fun, patterned leggings.